Missing: Woman Who Removed Hijab In Iran Protests ... When Will Feminists March? 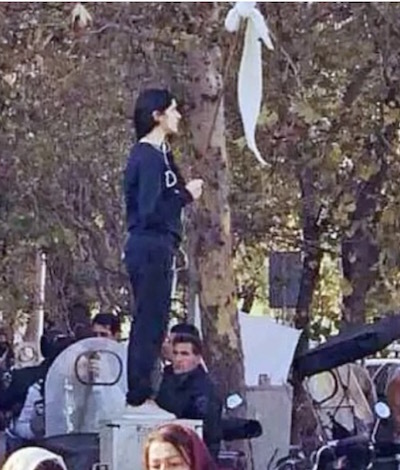 Missing: Woman Who Removed Hijab In Iran Protests … When Will Feminists March? Hey Feminists. Now that you’ve checked your anti-Trump boxes at your pink-hat march. How about taking up an issue that matters? 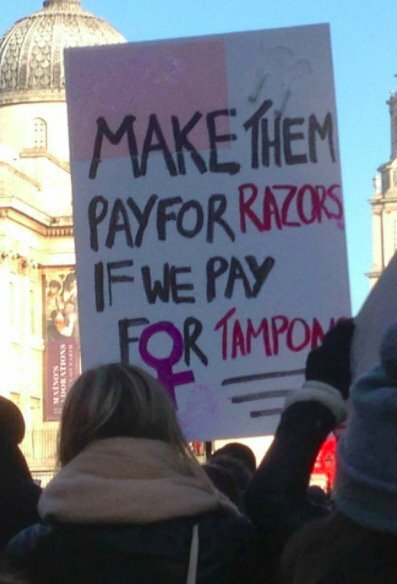 Last weekend, women got together to wave their profane signs (or have their kids do it), and either demand rights they’ve already got, or ones that really make no sense. Meanwhile, halfway around the world, the Lib-left media was bent over backward in NOT telling the story about the people’s uprising against the Theocratic authoritarian state in Iran. In a country where an act of defiance like that can get you beaten or arrested, that is what REAL courage looks like. And it looks like she has paid a price for it. Now a renowned Iranian lawyer has raised concern over the fate of a woman who appeared in images which went viral around the world. Thousands of social media users have shared the messages, dubbing her the “Girl of Enghelab Street” after the area in central Tehran where she staged the protest. The hashtag “Where_is_she?” quickly went viral. Nasrin Sotoudeh, a famous Iranian human rights lawyer, said she went to Enghelab Street to investigate. Sotoudeh said could not find out the woman’s name, but was told she was 31 years old and had a 19-month-old baby. The people who get whipped into a blind rage over Trump while waving keep your laws out of my uterus signs seem strangely silent. “Our investigations confirm that the young woman, whose name we still do not know, was arrested on that very same day,” she wrote on Facebook on Sunday, along with a picture from the same location where the woman was first arrested. “She was released shortly afterwards but was arrested once again,” Mrs Sotoudeh added. Women there aren’t covering themselves because they like sweltering in 100 degree heat. They are compelled to cover themselves by law. We understand you’re probably tired from marching and cursing after your last march. But we’d like to know … when are you scheduling your march in solidarity with this missing icon of Women’s rights? It is, after all, an “International” movement, now.